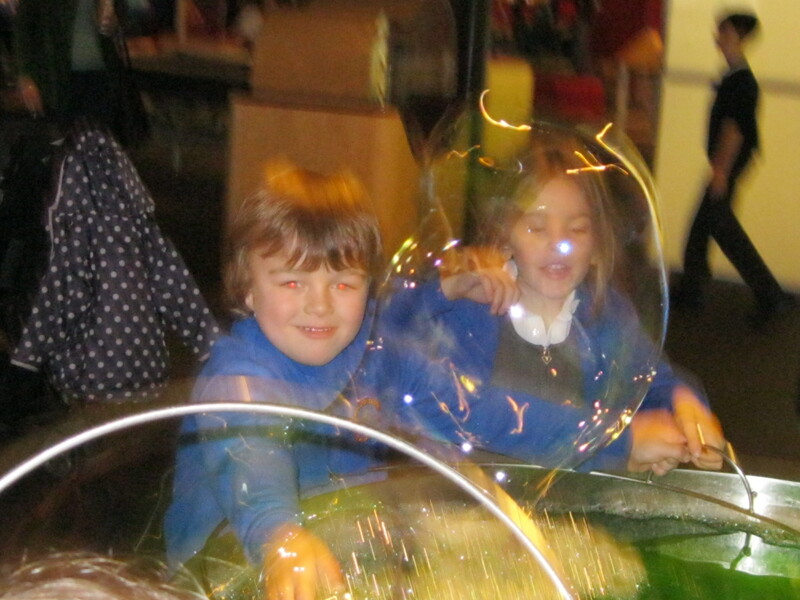 Small World has extensive experience of working in educational settings, mainly with Primary School age children. 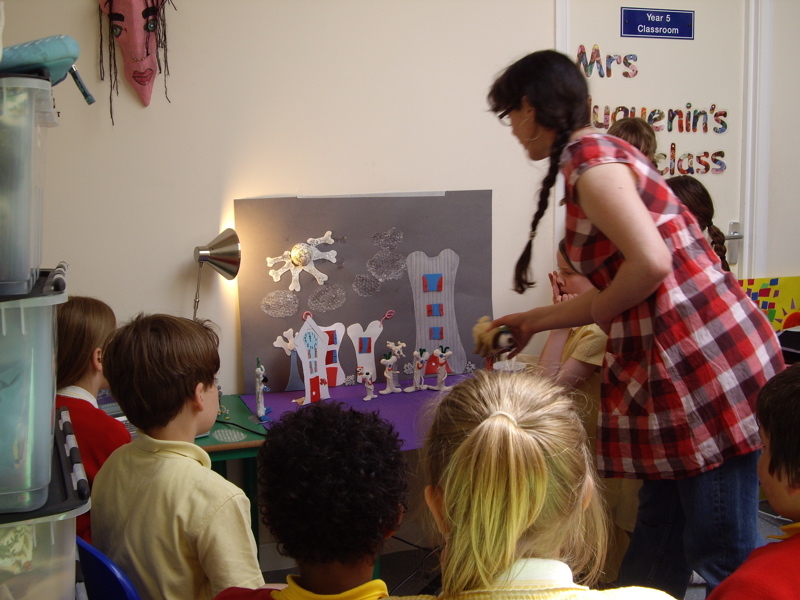 Her projects show children how to design and make an animation from A-Z, starting with ideas generation, then moving on to character design, story and script building, modelmaking and setbuilding, then animating and filming. Projects can be tailored to cover specific curriculum requirements of Keystages 1 and 2, and be spread over just a few days or months depending on schools’ budgets and requirements, with additional CPD for staff. Small World provides all her own equipment and materials, including scissors, glue, card and paints if needed. Small World’s own academic background brings additional educational benefits to projects, especially in terms of verbal and written literacy, as well as all-round general knowledge. She holds a BA in French and Spanish, and an MA in Critical Theory and worked for 5 years in dictionary publishing for HarperCollins and Larousse before retraining as an artist. If you would like a copy of my CV please go to the Contact page and send a message. Thanks! 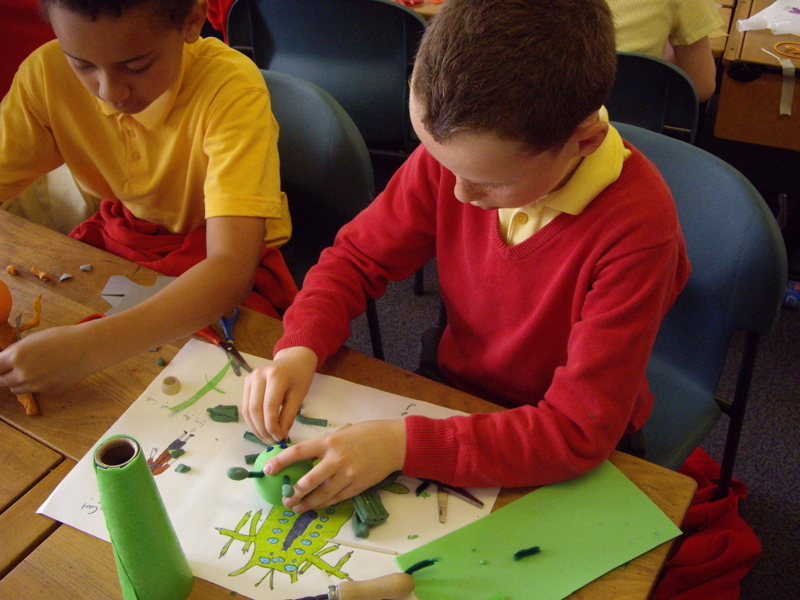 If you would like more information about Small World school animation projects please click here and send a message.